The Wallowa-Whitman National Forest (WWNF) in Oregon is currently in the process of writing an Environmental Impact Statement (EIS) to implement thier own, stand-alone Travel Management Plan. Their proposal seeks to select and designate a tiny number of existing roads - that they intend to allow public to travel upon - and to close around 4,000 miles of National Forest system roads in five counties: Baker, Grant, Union, Umatilla, and Wallowa. The WWNF's proposal to close all these roads on the National Forest is their idea of implementing the (somewhat) recent 2005 National Travel Management Rule. The 2005 Rule does not order National Forest managers to close roads or even severely restrict travel upon them. In fact, the adjoining Malheur National Forest chose to meet the intent of the Rule by simply issuing a map to the public showing the existing open roads within its boundaries. But the Wallowa-Whitman administrators took the complete opposite tack. 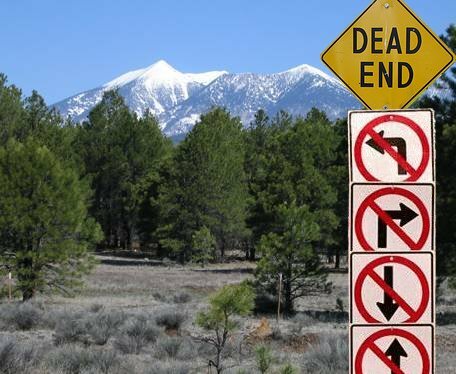 Instead, they've decided to produce an expensive and elaborate EIS, independently, to promote the closure of almost every road within the National Forest except a few main entry routes. A Draft EIS is being composed now and the WWNF says it will be released for public comment sometime in January 2009. This new Wallowa-Whitman proposal actually violates their own, standing, Department of the Interior Regulations. The 1990 Forest Management Plan - currently in force - is very access friendly. It encourages the use of the roads within the National Forests and allows for cross country travel so long as resource damage does not occur. Because the Forest Service now operates under the 1990 Forest Plan by law, they are bound by the National Environmental Policy Act (NEPA) to tier any new EIS to the parent Land Use Plan. That is obviously impossible to accomplish with the WWNF's proposed Travel Management Plan, since closing roads is completely contrary to the access friendly 1990 Forest Plan. Of course the WWNF is trying hard to convince the public that their road closure proposal is not a significant amendment to the 1990 Forest Plan. But the facts speak for themselves. Not only is the WWNF Travel Management Plan proposal a significant change to the 1990 Forest Plan, it completely unravels it. The WWNF claims that certain old National Environmental Policy Act decisions entitle them to close roads wherever they see fit. Yet when asked, they cannot even provide an accurate map of the existing forest roads they manage. A request made by the Eastern Oregon Mining Association under the Freedom of Information Act (FOIA) regarding these road closures reveals that at least nineteen NEPA documents for closing hundreds of miles of roads DO NOT LIST which roads they pertain to, nor do they define the limit or extent of their location. The Wallowa-Whitman National Forest evidently interprets this lack of specificity as a license to do whatever they wish, whenever they want. Only two months ago, the Forest Service was already busy closing roads on the massive body of Dooley Mountain, a well-known and frequently traveled local peak. When asked about their authority to terminate travel on the roads - one of which was a county road - they failed to provide any NEPA documentation or regulatory proxy to justify their activity. 2. Rewrite the entire Forest Plan to bring it up to date (since it is 19 years old). Either of these scenarios might take several years and there would be much public input in the process. But only then - after the existing Forest Plan is intelligently revised to accomodate public and county input regarding what the road system should look like in the future forest - can the WWNF legally re-configure the Travel portion of the Land Use Plan in the best interest of the public. Any citizen concerned about his/her right to access the Wallowa-Whitman National Forest needs to comment on this plan now. If you use the National Forest(s) for any purpose, whether it be for recreation, ATV riding, snowmobiling, logging, wood cutting, mining, grazing, hunting, fishing, mushrooming, camping, berry picking... it is you who will suffer if this proposal is allowed to succeed.